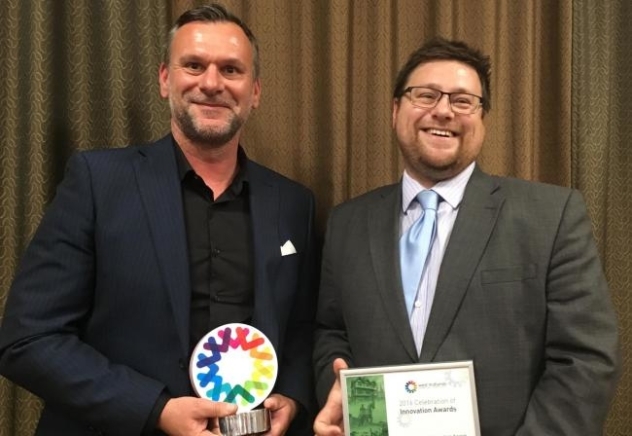 A brand new innovative mobile App developed by Midlands based Stormnet Media Ltd in conjunction with University Hospital Birmingham has won a prestigious award for innovation. With strong competition from over 80 different healthcare providers, the app itself provides a secure way to reduce the time it takes to reach an accurate diagnosis and define an effective treatment plan. The clinical imaging app is designed to allow medical teams and doctors to take and send encrypted clinical images of patients from their mobile. Ian Stainton, MD of Stormnet Media Ltd said, "We were delighted that the app was recognized by the West Midlands Academic Health Science Network – the app will mean that for the first time medical teams can use their own mobile devices to send patient images over a secure network, protecting patient identity and confidentiality and ensuring efficient upload to the hospital's local Image Management System. Potentially, this could save the NHS millions by increasing efficiency and guaranteeing clinical governance and data protection compliance." There has been a number of studies that have highlighted that doctors have used their own mobiles phones to take and share patient images which could inadvertently be disclosed. The app has been designed to address this problem and provide a secure way to send photographs without storing the images on the device or cloud. "We've worked closely with University Hospital Birmingham and their IT department to test the app extensively to ensure it delivers the required security. It's also been independently destruction tested by external security experts"
The Award Ceremony took place on Thursday 29th June 2016 at Warwick University.